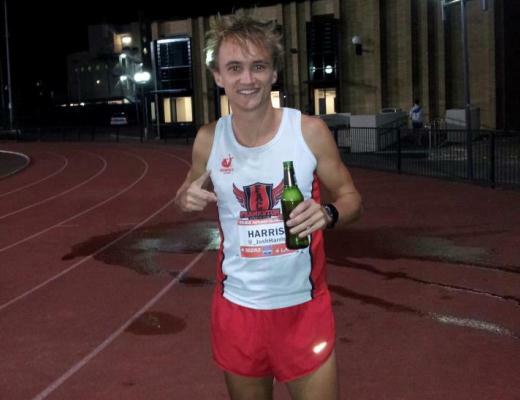 Welcome back to 5 Questions, where we pick the brains of people from all areas of the running scene. Today, we were lucky enough to catch up with Emily Infeld as she continues her strong season on the roads. Follow her on Twitter @emily_infeld and Instagram. 1. Daily Relay: Congratulations on your recent runner up finish at the Tufts Health Plan 10k for Women. Between that and your win at Wharf to Wharf, you have put up two strong longer races on the roads. What did you take away from each of those races, and did you surprise yourself at all? 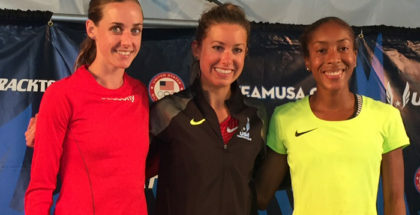 Emily Infeld: I was really excited about both races, especially since the longer distance intimidated me. I always loved cross country in college, but I thought of myself as a 1500 meter runner who was just starting to move up to the 5k. My coach, Jerry Schumacher, focuses a lot on strength based training and gave me confidence going into both races. I have trained harder this year and focused on much longer workouts than previously, but still wasn’t sure this would translate to racing. I also just love to race and figured I would stick my nose in both races and just go out with the leaders and see how long I could hang with them. The 6 mile road race was the longest I had raced at that point in time and the 10k is now my longest race. This intimidated me a bit, but I am starting to really like the longer races! 2. Daily Relay: You missed much of the championship track season this year, then came on with a nice 3000 late in the season, as well as a runner up finish at the road 5k champs. What kind of ailments were you battling over the spring and early summer and is it fair to say you are completely recovered at this point? Emily Infeld: I really increased my training this year: mileage, intensity of all runs, and intensity and length of workouts; on top of this we were training most of the year at altitude. I had never trained at altitude before and didn’t fully realize how much of a toll it took on the body. Along with not adjusting to the altitude well, I think I got greedy and just kept pushing myself. I got myself in a bit of a hole n training. I have gotten better with communicating with my coach and listening to my body; take a day off or an easy day when needed. I have also been just training at sea level since July. I am feeling fit and getting excited for a couple more road races! 3. Daily Relay: You grew up in a running family, with your sister Maggie also competing at Georgetown. What was it like having having someone so close to the situation as you began to excel in athletics? 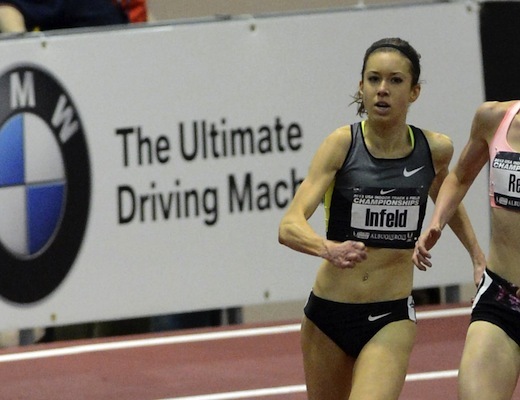 Emily Infeld: I am very close with my family. I have two sisters (Maggie who ran, and Lucy, who is less than two years younger than me). I am close to both my sisters in different ways, but it was great to have Maggie to look up to in running. She truly inspired me in the beginning and throughout my running experience; she still inspires me today. It means a lot because she knows the sacrifices involved in our sport first hand and has always been a great sounding board and role model. 4. Daily Relay: You made the decision to leave Georgetown early and head to Portland to train with Shalane Flanagan and Kara Goucher. 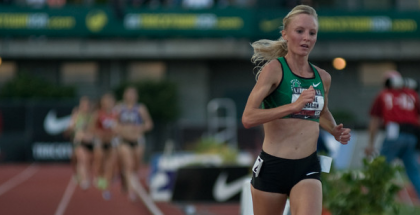 How hard of a decision was that to make, and what has it been like training with two of the most renowned American female runners of the last decade? Emily Infeld: This transition year was very hard for me. I had applied to graduate school for this year (2012-2013) and was planning on running for a 5th year at Georgetown. Certain circumstances and opportunities ultimately made me decide to turn pro and join Jerry Schumacher’s training group in Portland in November of 2012. I feel so blessed that I have been given the opportunity to train with Kara and Shalane under Jerry (Schumacher). They are two of the absolute greatest women I will ever meet. Beyond being extremely talented, hard working, an fierce women they are great people separate from running. They are so caring and supportive and really made my transition out here seem much easier. I am so lucky in that I have such great women to be surrounded by, to look up to, and gain insight from. 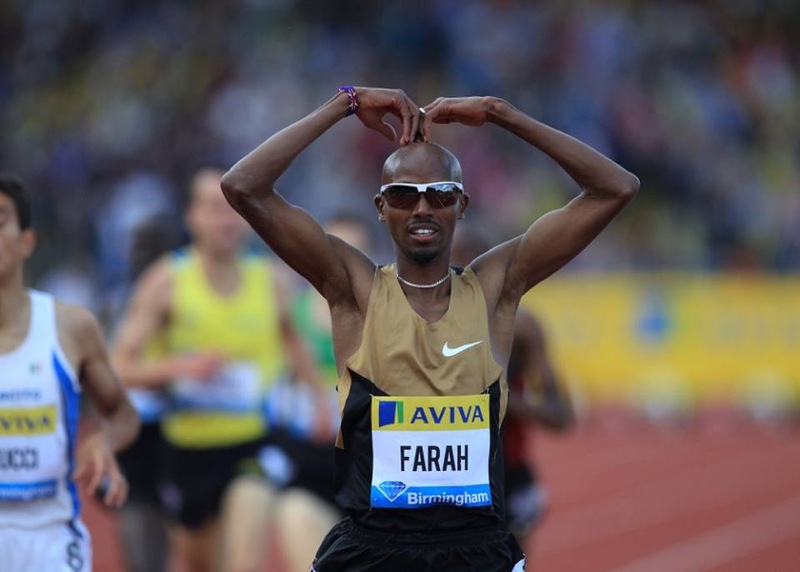 They are great people through and through and will continue to inspire me in running and life. 5. Daily Relay: After missing much of track season, you seem to be really fit right now. Are you planning on running the dot.us championships? What else is on the horizon for Emily Infeld? Emily Infeld: I am planning on running the 5k NYC marathon weekend and then the 12k in Alexandria. I am excited for both. My dad is running the marathon, which will be special to be able to watch. After this, I am excited to return to the DC area for the race in Alexandria!